Three years ago Morgan Huntley was launching Vanquish Boats in Rhode Island. He had yet to sell one of his semicustom runabouts and had zero dealers. 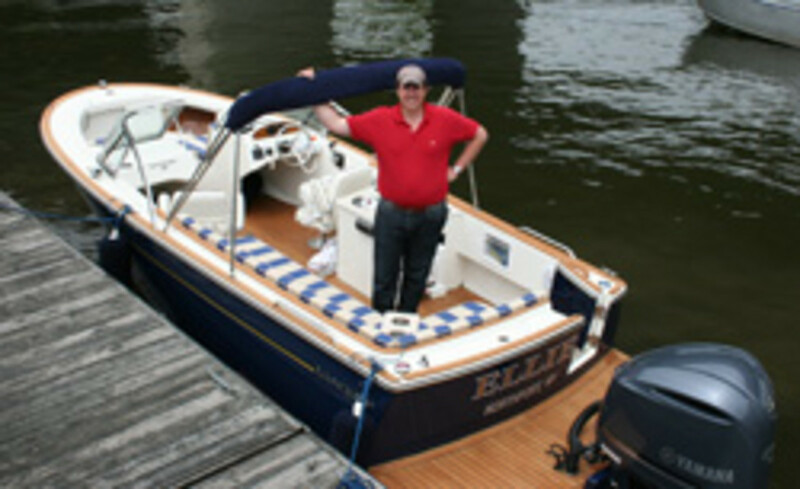 Today he counts four dealers while aggressively working to grow that network and he has sold more than 20 boats. Huntley paid a visit Monday to Trade Only Today on the Connecticut coastline on his way to deliver the first hull of Vanquish’s new 26-foot dual console to a customer in Long Island, N.Y. There are dealers carrying the Vanquish line in New England, the Great Lakes region and California. Huntley, who counts a dozen full-time employees at his Bristol, R.I., shop, says he sticks to a “just-in-time” inventory management plan. “I can still do every job on the shop floor,” if need be, he adds. “Right now my biggest challenge is finding more space for our growing business,” he says. Vanquish builds a 24-foot runabout, 24- and 26-foot center consoles and now the 26-foot dual console, all designed by Doug Zurn. The dual console prototype is the builder’s first outboard-powered boat and was custom-built for the New York state buyer. Equipped with a 225-hp Yamaha four-stroke, it starts at $112,000. “We felt it was time to branch out from the single-inboard design,” Huntley says. Once the prototype is delivered today, Huntley says the plan is to begin building in-house the tooling for the dual console model and have his first production boat ready for display at the Newport International Boat Show in September. “The economy is crawling back, money is cheap, and we’re where we want to be in terms of price point and quality,” Huntley says.